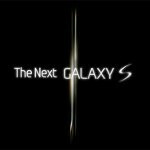 We are only two weeks away from MWC over in Barcelona and Samsung is doing their best to create excitement with a new teaser video on their Unpacked site of the successor to the original Samsung Galaxy S.
The Samsung Galaxy S was a huge hit all over the world with multiple variations being offered on several networks. It is hard to imagine what Samsung could have in store with its successor, but we should all find out soon enough. Check out the teaser (which doesn’t give away anything, really) and tell us what you think in the comments below. This is so amazing again!?? If you watch closely in this teaser video youll notice that there's a blonde woman wearing white shirt holding the phone,and even though they've got it blurred out. if you look at her reflection to the left, you can clearly see the phone in her hand. its 13seconds in, but you gotta look close cause it flashes really fast. but if you pause it at just the right spot,its easy to see. Yea, you see a shape, nothing more. At 20 sec you see that shining silver edge. Hope it's not plastic like in current Galaxy S.
Laugh at it all want. But the specs on this phone will blow away all other phones this year and it's developed with 2.3 gingerbread from get go.